The University of Idaho Library’s Think Open Fellowship is an opportunity to equalize access to educational materials in your classroom and save your students money by supporting the use of low- or no-cost course materials in place of traditional textbooks. Lower the cost of college for students and contribute to their retention, progression, and graduation. Pilot different approaches in University of Idaho courses for textbook transformation including adopting and adapting existing resources, creating Open Educational Resources (OER), and identifying materials already available from the UI Library. Provide support to faculty to implement these approaches. *Faculty teaching high enrollment courses, dual-enrollment courses, and Idaho Gem courses are especially encouraged to apply. The University of Idaho Library is now accepting applications for the 2019 Think Open Fellowship. These fellowships are designed to support faculty in adopting Open Educational Resources (OERs) in the courses they teach. First Year Fellows ($1250) -- awarded to faculty who will use Open Educational Resources in their classes. Graduate Student Fellowships ($15/hr totaling $1050) -- The graduate student fellowship funds hourly employment at the library while working on OER projects, either self-directed or in collaboration with a faculty member. 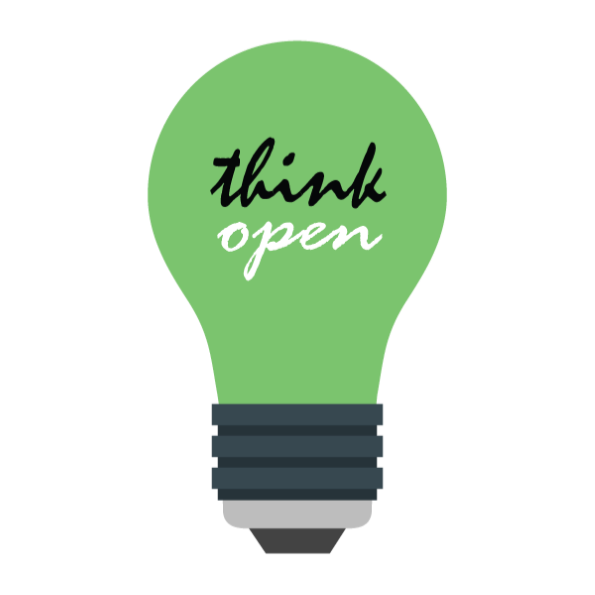 The Think Open fellowship is intended to reduce barriers to student success by supporting the use of low‐or no‐cost course materials in place of traditional textbooks. The program’s goal is to improve student success by adopting, creating, and using open educational resources at the University of Idaho. The 2017 Fellows are estimated to have saved students more than $50,000 in textbook costs. So far the 2018 cohort is estimated to have saved students more than $150,000 in one year. Commit to using an open textbook or affordable alternative (total costs less than $50) for a course in fall 2019 or spring 2020 (preference given to high enrollment and general education courses). Work collaboratively with other fellows, mentors, and fellowship director(s) on best practices, policy recommendations, advocacy, and research. Collect feedback from students in OER-based courses about the course materials required, their academic performance, and other metrics as agreed upon by the fellowship mentors and director. The application deadline has been extended to April 12th, 2019!